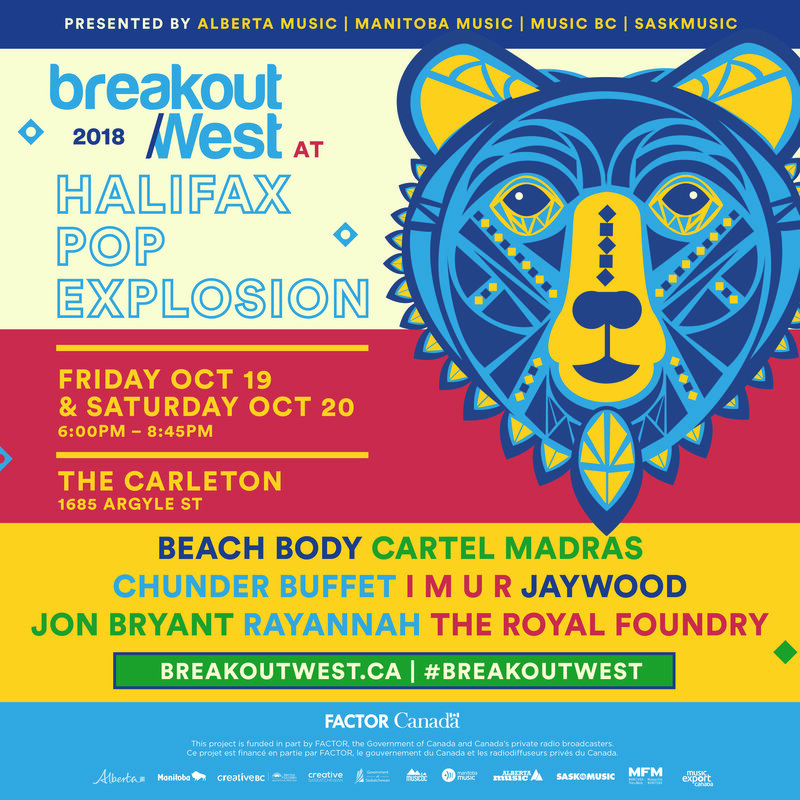 Alberta Music will be on the ground at Halifax Pop Explosion, from October 17 to 20. Several Alberta Music artists have official showcases, listed below, in addition to the Alberta Music members who are performing as part of the BreakOut West showcase. Cartel Madras is radical hip hop disrupting an industry and destroying old narratives about identity, race, and sexuality with provocative new stories that slap harder. Contra and Eboshi are female rappers hailing from South India that have proven that they deserve their spot in Calgary’s evolving hip hop scene. In their summer 2018 mixtape, Project Goonda Part 1: Trapistan, their sound fuses the stylings of trap, the Dirty South, and house. With amped up performances and an irreplaceable energy, Cartel Madras put on an unforgettable show and throw a party that can’t be missed. Goonda Rap has arrived. Calgary’s clamor rock couple Miesha and The Spanks are wild with a touchy underbelly. Steadfast. In any case, with a solid craving for something new for the street. What’s more, wherever they meander: uproarious, shake, and roll. Envision Karen O in Jack White’s place on right on time White Stripes. Then again, Joan Jett fronting The Hives with a loading measurement of force pop tunefulness. Astral Swans is the main project of acclaimed Canadian songwriter and multi-instrumentalist Matthew Swann. His newest release STRANGE PRISON is an experimental folk record combining pristine production with Swann’s abstract narratives of lonerism, human frailty, and dread, all told with darkly comedic empathy and helpless concern. Ben Crossman, AKA Ben Disaster or Benny Blitzkrieg Pop! (just to name a few) is the Artistic director and manager of THIS IS POP RECORDS. He also hosts the award winning hit show THIS IS POP! on CJSR 88.5 in Edmonton, AB. As a working musician, performer and personality since the age of 15, Ben has worked with a handful of his own bands as well as others, promoting, booking and doing visual art. Through THIS IS POP! Radio and THIS IS POP! Records our goal is to help bring attention to new releases by independent bands that fit the THIS IS POP standard and team up with other like minded individuals to help grow the THIS IS POP enterprise. Nationally and internationally. THIS IS POP!